If you were to go from one media platform to five, your ROI would increase by 35%. The key driver for this increased ROI, is that advertising is more likely to be encoded in long-term memory when it is encountered across different platforms, appealing to different regions of the brain. The overarching takeaway we got from this article is that advertisers have a lot to gain from ensuring their Integrated Marketing Communications (IMCs) are distributed effectively across multiple platforms and touch points in a unified manner, rather than concentrating on increasing exposures on just one platform. According to Advertising Age, ARF’s study took an in-depth look at over 5000 campaigns for 1000 brands in 41 countries accounting for a total of $375 billion in global ad spending. The article went on to share how each platform the brain is exposed to primes it for exposure on the next platform. 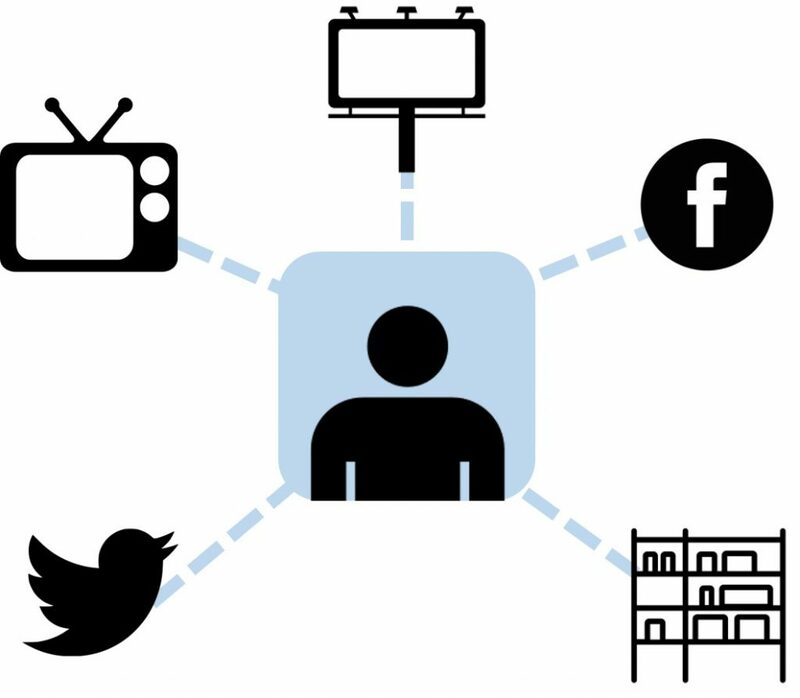 By having an ad appear on a Facebook feed brands can prime future exposures on TV by providing a ‘teaser effect’. This leads to consumers being more attentive when they see the ad on the second platform. Both context and emotional state influence which platforms work well together. Print and TV go well together because they tend to be consumed in a ‘relaxed state’, while mobile and other digital exposures work well together because they are consumed ‘on-the-go’. Shockingly, over a quarter of campaigns reviewed relied on only one platform, with 60% of the campaigns not exceeding two media platforms. Based on these findings, the ARF suggests that advertising brands are likely underspending on their campaigns by 10%. The key here is that adding platforms is more effective than adding exposures. As an example, the study revealed that almost 60% of digital banner ads aren’t viewed by humans, and 10% are basically useless because of frequency overkill. The study also revealed that a mix of 78% traditional to 22% digital was most effective when targeting audiences as a whole, however when targeting millennial sub-groups, that mix shifted to 71% traditional and 29% digital proving; that there is still a place for traditional media in modern advertising. Another important finding from the ARF study is the need for caution when altering your campaign’s visuals and messaging across mediums. Changing the ad too much runs the risk of cancelling out the effects of each platform and reducing the likelihood of creating brand linked memory structures. Cross-media campaigns that were unified were almost 60% more effective than those that weren’t. Crafting a unified message doesn’t mean you have to have the exact same message or look and feel across platforms, but you should be looking for consistent brand elements, in order to trigger and reinforce memory structures that link to the campaign and brand. Given that our brand building philosophy at Hotspex is that great brands are brought to life with remarkable ideas that are executed with relentless consistency to the brand’s promise and identity, we find this study very informative. Make sure your campaign is built on a remarkable idea: Before assessing platforms and exposure, you need to ensure that you have a remarkable idea on your hands. Learning about your campaign earlier in the creative process will tell you if you’re on to something and how to improve its salience with your consumers. It also reduces wasted non-working marketing dollars that can be put to use distributing your message more successfully across media platforms. Leverage your brand identity and brand assets to drive relentless consistency: Your campaign should not be identical across platforms, but it needs to be unified. The best way to ensure this is to undergo brand identity and brand asset learning well before you create your campaign. This will inform which of your brand elements are assets and are crucial to iterate across every platform. Doing this ensures a unified look and feel to the campaign. It will also identify brand elements that need to be refreshed or removed because they could hold your campaign back. These findings should guide your integrated marketing campaign to a relentlessly consistent execution across platforms. Measure executions across platforms to ensure they are unified: Even once you have identified your assets, it is very important to measure each of your campaign executions. Compare the findings across platforms to ensure they are eliciting unified emotions to driving relentless consistency across all touch points. Measuring these platforms ahead of launch will help you improve your final products and optimize cross-platform ROI. So ahead of your next communications plan, you may want to be asking some new questions. Is there an opportunity to reduce exposures in one platform where you may be reaching burn out? Could you reinvest those dollars into a new platform to improve the chances of your message and brand being encoded in consumers’ long-term memory? Or maybe you could invest some of that spend on measuring how unified all of your executions are across different platforms and then tweak them to maximize your ROI across platforms? Click here to learn more about identifying remarkable ideas earlier in the creative process and then ensuring they are unified across omni-channel platforms.